We now have stock of a wide variety of plush toys and merchandise suitable for your stacker and redemption machines. These products make fantastic prizes for your customers. We are pleased to announce that Imply Electronic Technology products are now available for sale. Imply manufacture a wide range of redemption games including basketball games, bowling systems, and sports games. Products are suitable for all ages and are made from high quality durable materials. 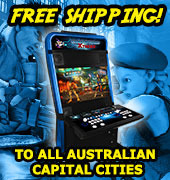 Highway Entertainment is currently having a massive arcade machine clearance. 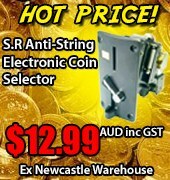 All machines must be sold, we have dropped a lot of prices below cost price. Machines are available in a "as is" condition (Project style, work needed). Highway Entertainment is pleased to unveil its new product line, a range of self-redemption machines including Rocket Mini, Tower Candy and Robot Cap. The advantage for the operator with these products is the self-redemption aspect because the machines directly dispense the prizes to the player, eliminating the need for operator supervision. The Treasure Ship redemption game manufactured by Uniana is now available in Australia through Highway Entertainment. Treasure Ship players must manoeuvre the silver ball in the machine into the various scoring holes by turning the ships 'steering wheel'. A number of used ticket redemption machines are now available and are open to offers. Ideally suited to container orders, machines are sold on first come basis. Elton's Arabian Derby is now available for immediate shipment, ex Newcastle warehouse Australia and is open to offers. A large distributor in Asia has offered Highway Entertainment nearly 200 redemption machines for sale. The sample list and prices are displayed in the more information link.